On Friday night I went along to my second Dior event. It was lovely to see Anthony again, he was brilliant at the last event and I was excited to see what new products had been released. I met up again with Holly (TheKittyLuxe) before the event for a starbucks and at 5:30 we strolled on down to Dior Debenhams in Cardiff to meet everyone. We had a chance to take some photos and grab a juice or champagne and then take our seats. Anthony had already applied make up to half of his lovely models face. This made the application process really fascinating. 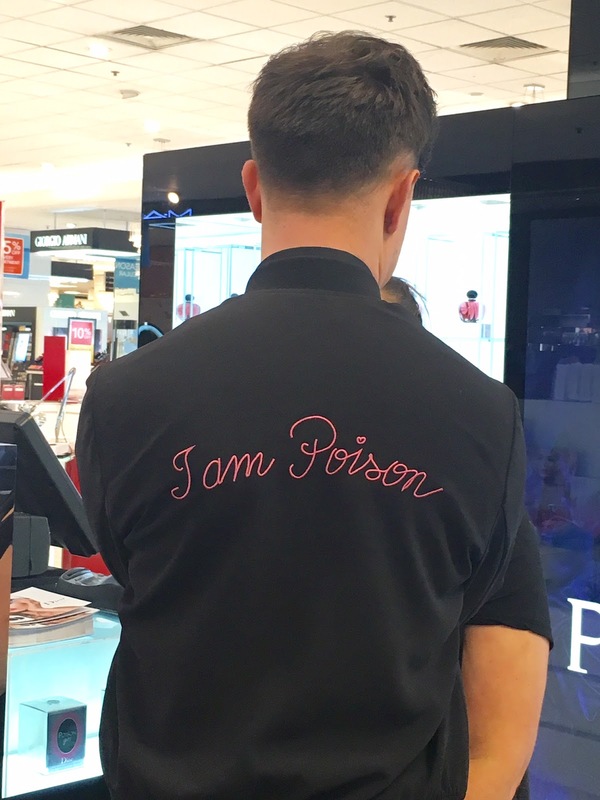 We could see what he used and how each product built up to create the final look. I personally loved the use of the bright blue eyeshadow from the new Summer 2016 eyeshadow palette under the bottom lashes. It showed me that you can be more daring and in fact yes Jade, you can wear other colours that aren't just creams and browns! I am always looking for new brow products so when I saw how Anthony transformed his models brows I was so shocked! Anthony used the Dior Show Brow Styler to fill in her brows and it looked so natural. The styler is very fine and is actually a gel so unlike some other brow pencils it can be used to create new hairs and not bold, thick unnatural lines. After the make up look was finished we got to have a play around with the products. I wanted to try something bright and colourful under my eyes so after some friendly persuading from Holly I tried out the Dior Addict Line-it liquid eyeliner in 'Jade' believe it or not! Anthony applied it on to my under eyes and I loved it. It was colourful but it wasn't too bright so I think it was a nice step up from my usual look! Finally, I really needed something for my lips! Stupidly i'd forgotten to bring any lip products with me and my lips were getting really dry. I swatched the Milky Tints on the back of my hand and fell in love with all of the colours. Day to day I like something subtle with a hint of colour. I work in a school so I don't want a full on matte look nor do I want a bright pink bold lip so I am always on the lookout for that 'perfect' neutral colour. I could have bought all of the milky tints on display but my favourite one was the 'Milky Plum'. Despite it's name, the purple wasn't too dark. Once applied to the lips it was a great, pastel-lilac shade. May I also say my lips felt so soft and smooth after which is a first, I don't know about you but if my lips are chapped I normally use Vaseline or a lip care product that isn't a gloss or lipstick so this was a great surprise to find it actually soothed them. This is definitely something I will be investing in soon. I had such a great time and the atmosphere was great. Anthony and the team at Dior made it such a fun event! I went home with a little goody bag, containing some awesome Dior products which I can't wait to try out! 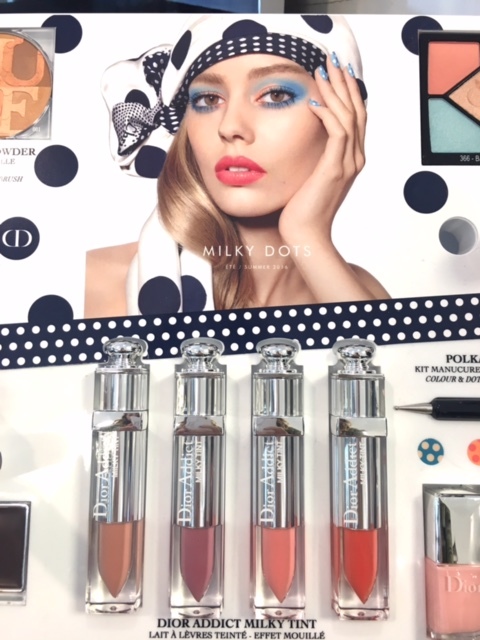 Thank-you for reading this post, let me know what your favourite Dior products are!